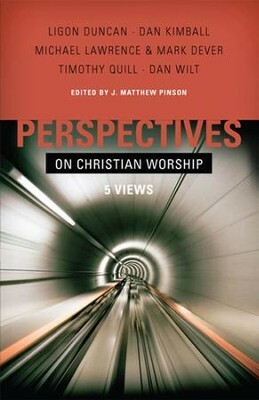 Perspectives on Christian Worship presents in counterpoint form five basic common beliefs on Christian worship that have developed over the course of church history with a view toward determining which is most faithful to Scripture. Each chapter is written by a prominent person within each tradition, and each writer has the opportunity to respond to each differing view. Mark Dever is senior pastor of Capitol Hill Baptist Church in Washington, DC and president of 9Marks. He holds degrees from Duke University (B.A. ), Gordon-Conwell Theological Seminary (M.Div. ), The Southern Baptist Theological Seminary (M.Theol. ), and Cambridge University (PH.D.). I'm the author/artist and I want to review Perspectives on Christian Worship - eBook.